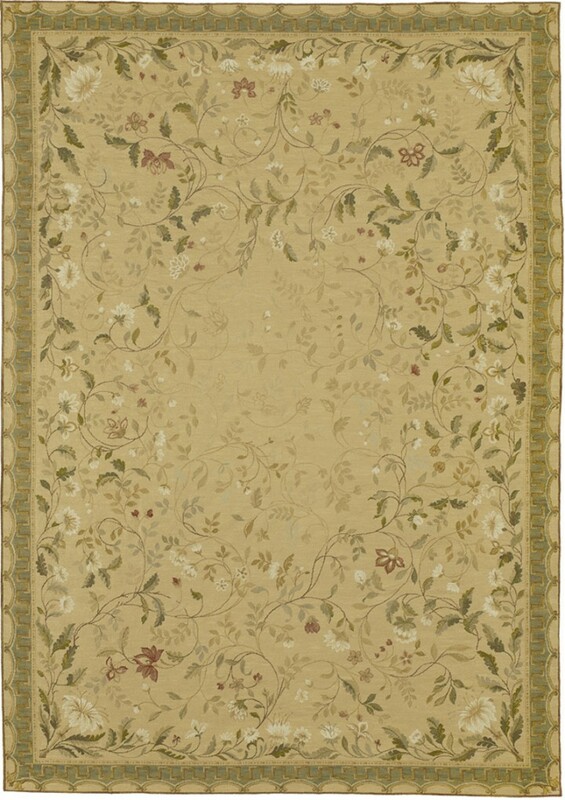 This fine handwoven needlepoint rug magically blends old world style reminiscent of Pompeii’s frescoes with a fresh, verdant quality. Rose-red and white flowers and sage green leaves nestle among vines reaching for the center of a wheat gold background surrounded by a teal canopy border. Using time-honored dyeing and weaving methods and a myriad of color shades allows expert weavers to get the most from the needlepoint approach to rug design. 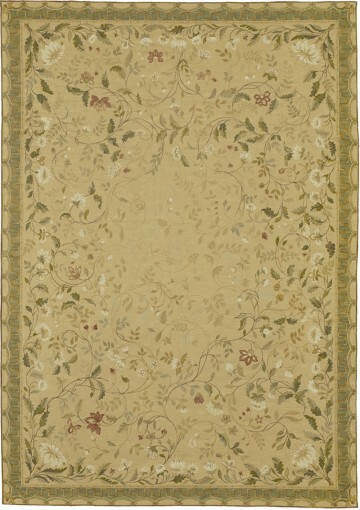 Pavilion is the ideal rug when decorating a master bedroom suite, a formal dining room or any room where spending quality time is the end goal.